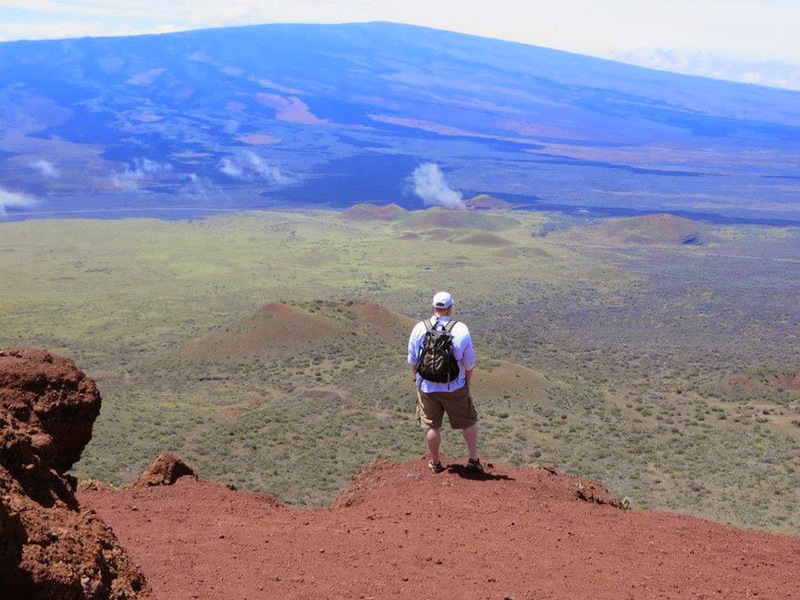 Idaho Chicken Ranch: Hawaii: Hiking Mauna Kea! 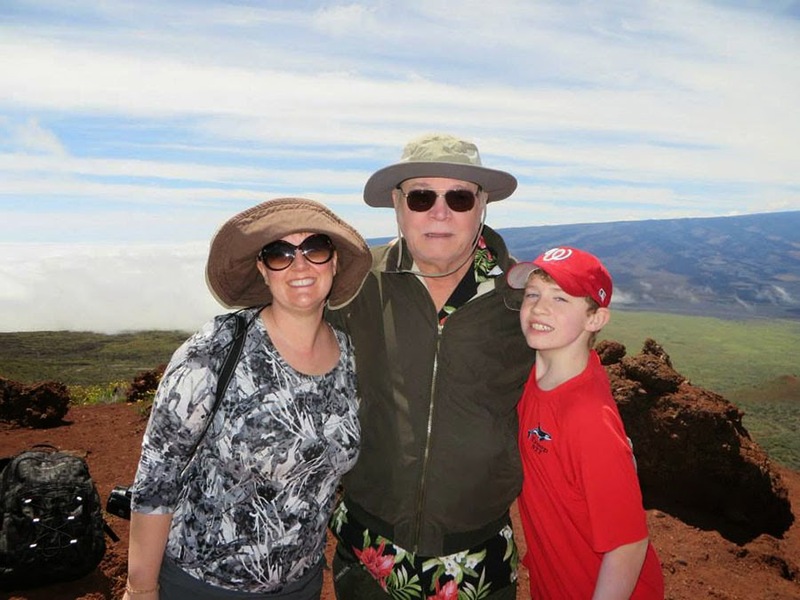 Just prior to hitting Kona ;) we drove up Mauna Kea to check out the visitor center and hike a bit! Invisible cows! We had lots of conversations about them. Hey look! I was in Hawaii! Hey Carolyn! Take a picture of my sister-in-law and I!! Carolyn. That's a picture of your son that Sal and I randomly happen to be in. There we go! OK, if you look closely in Sal's glass, my husband still made it in to the picture. Hmph. All 8 of us climbed up here! Together! It was really fun! It doesn't look like its that far from that road down there, but trust me, it was a decent trek! ....and charming young men, my nephews. Making Dad proud. ;) When we were little he'd comically have us salute transformers when we drove by. We still try to catch a shot with one whenever we travel. We are sweaty, red-faced, and a bit disheveled, but this turned out to be my favorite group shot! More will come, but none beat this one, I think.